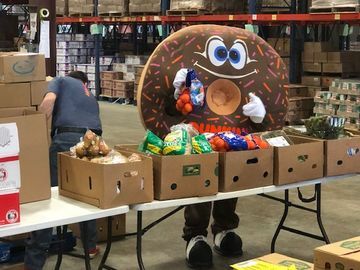 This Veterans Day, we are saluting all those who served by offering a free donut to veterans and active duty military on Saturday, November 11th. 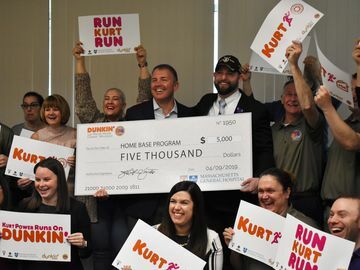 * We’re also recognizing extraordinary members of the Dunkin’ family who go above and beyond to support our troops, like Dawn Navallo a restaurant manager at a franchisee-owned Dunkin’ Donuts located in Cream Ridge, NJ. 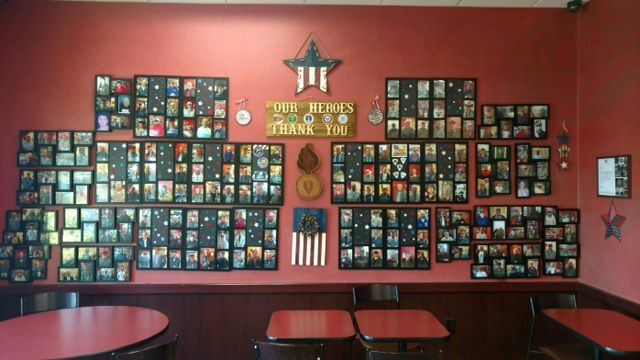 Two years ago, she looked at the large, empty wall inside her Dunkin’ and decided she wanted to do something special to recognize the veterans in her community. She was inspired by Jim Viviano, one of her regular customers and a World War II veteran, who was a Navy Seabee stationed in Okinawa, Japan. 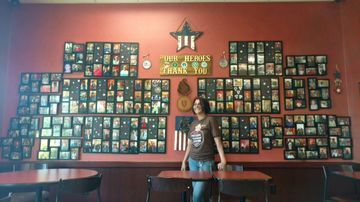 After hearing his courageous story, she decided to dedicate a wall inside the store featuring photos of local veterans. Jim was the first to add his photo, and now the wall has more than 450 photos. The community has embraced the wall and graciously donated a U.S. flag and a handmade sign reading “Our Heroes, Thank You.” “Veterans come in with their families, with other veterans – even our local Senator and his wife visited to add a photo to our wall,” she added. With Veterans Day just days away, we’d like to take this moment to applaud Dawn for her efforts to honor her local veterans, as well as the efforts of other franchisees and employees across the country. Learn more about our efforts to support the military here. 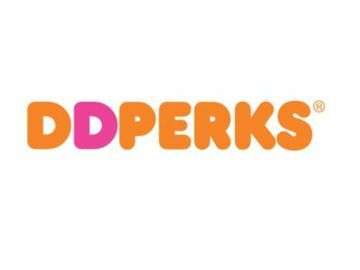 * On Saturday, November 11, anyone who shows a military ID at participating Dunkin’ Donuts restaurants nationwide will be offered a free donut of their choice with no purchase necessary. While supplies last. Limit one per customer.